The Dealer’s Choice “expanded sound” techniques that help create perfectly tuned chords. This vowel matching program was originally developed by Mac Huff while serving on the music staff of the Barbershop Harmony Society many years ago. Its purpose was to enhance the blend and “expand” the unit sound of a vocal group by training the singers to produce matched vowel sounds. 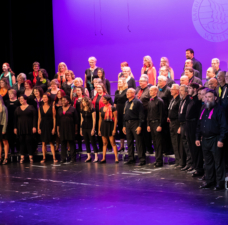 The time required to accomplish each step in the program will vary by the number of singers in the group, the number of voice parts, and the relative variety of natural qualities and dialects. It also requires a lot of feedback from outside ears. 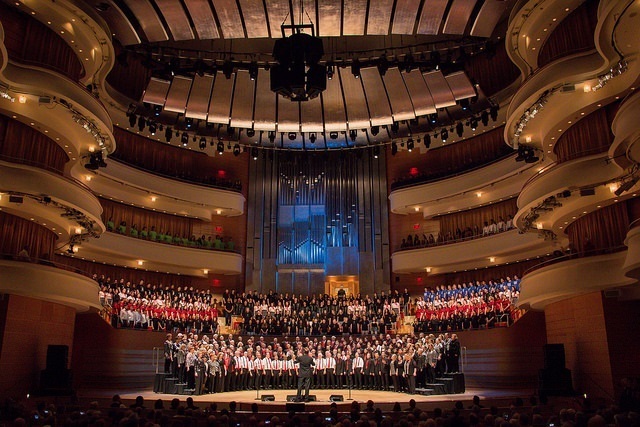 This program, if strictly followed, can have significant positive influence on quality and consistency of sound, projection and lyric understandability. If a singing group spends twenty to forty minutes a rehearsal on this program until completed, the enhanced sound produced in the exercise will almost unconsciously improve the sound quality of the group’s entire repertoire. It will greatly reduce the need to correct individual sound problems. It transcends the tedious job of working on one phrase at a time. It is a much more efficient approach to improving the overall quality of the group’s sound. The program utilizes a basic exercise involving 10 pure vowel sounds which, when sung alone or in certain combinations, can produce all the vowel and diphthong sounds in the English language. In the example words above, most words have singable consonants surrounding the pure vowel sounds. Energizing through these singable consonants and synchronizing the transitions from consonant to vowel and back to consonant are secondary missions of this program. 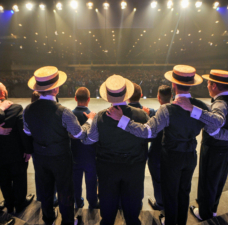 In 1973, Dealer’s Choice quartet not only won our international contest on its first attempt, but changed the sound of barbershop harmony forever. Their innovative “expanded sound” techniques create a stream of beautifully locked chords and a sonic richness that continues even through the consonants. 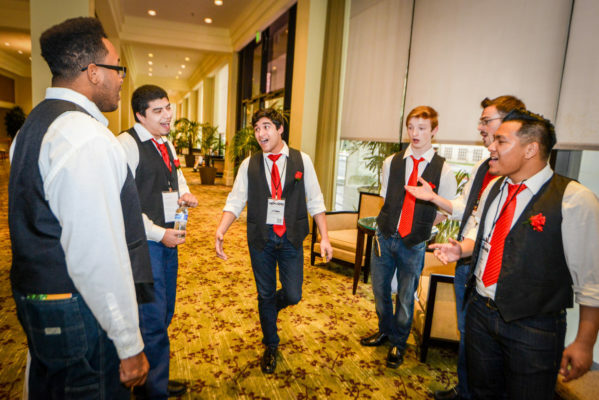 Virtually all of today’s top barbershop quartets and choruses use some variation of the principles that were first brought to the art form by Dealer’s Choice. This article is an excerpt of a much larger work that Dealer’s Choice bass Gary Parker authored called “Basic Group Singing Technique.” The larger work is available for sale from the author. Step 1: Stabilize the melody. 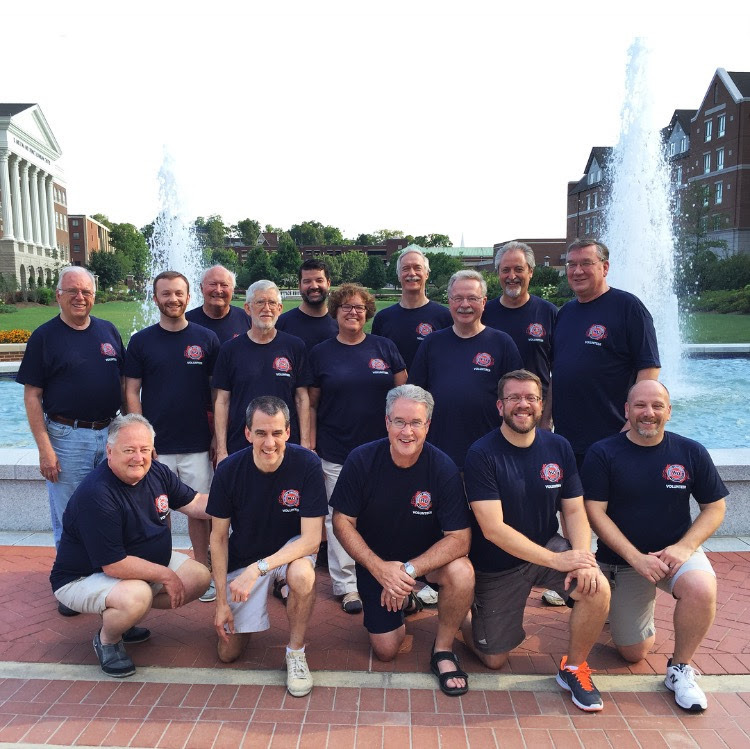 It is the responsibility of the director, section leader or other members of the group to serve as coaches and provide input, counsel and assistance to the melody singers first. These singers must make adjustments necessary to produce the ideal, appropriate or acceptable pronunciation and quality for the various pure vowels that the rest of the parts will build upon. Group agreement on the appropriateness of the melody singers’ vowel sounds is important, because the harmony parts will need to match those sounds later in the program. The word “stabilize” is used to describe this first step because the melody singers, once agreement is reached on a vowel sound, are expected to sing it the agreed way every time it occurs in the repertoire. The “ee” in mean must also be an “ee” in tea, clear, and each. To begin the exercise, melody singers start at the top of the pure vowel sound list and sing the example word “mean” in the upper middle part of their range at a comfortable volume level, sustaining while the coaches listen. The coaches assess whether the vowel sound is pronounced correctly and the sound is appropriate for the group. The sound should be easy for the harmony singers to match. 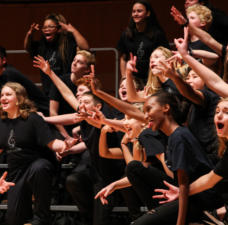 If your coaches request an adjustment in pronunciation and/or quality of the vowel, the melody singers must then determine whether the change can be accomplished easily and naturally. If not, a compromise may be considered. It is important the melody singers feel comfortable with the suggested approach. If it is unnatural for them, it will be difficult to repeat consistently. 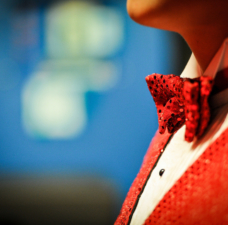 be completed at successive rehearsals to ensure the melody singers are stabilized and consistent. The second step involves part duets, always with the melody singers. Melody singers initiate the exercise as in step one. 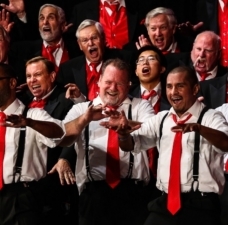 The first harmony part listens to the sound produced by the melody singers for three or four seconds, then tries to match it as closely as possible in unison (octaves may be used in mixed voice groups). The coaches offer suggestions as to how the harmony part can improve the match. Several repetitions of each vowel in the table may be required to achieve a good match of both pronunciation and quality. Usually some vowels are matched more easily than others. When moving to the appropriate note, the harmony part should try to maintain the match achieved on the unison. Several more repetitions may be necessary to accomplish this task. Harmony parts must learn to maintain a consistent match from the unison to their harmony notes. Over time, the exercise will become easier and the match will ultimately come automatically. This exercise should be completed for all 10 vowels, and then repeated with all possible duets that include the melody singers. The procedure in the third and final step is identical to that used in the second step. The melody singers sing the example word while two harmony parts listen. The harmony parts then join in unison (or octave) with the melody singers, trying to produce a perfect match. Coaches help the harmony parts adjust to the stabilized melody. After the unison match is achieved, the exercise is initiated again with the harmony parts moving to their appropriate notes working to maintain the match. The exercise is completed for all 10 vowels, and then for every trio combination that includes the melody singers.